This Grade II listed ancient dwelling dates back to the 14th Century. The old bread oven and meat/ fish smoking oven are still evident and the old stone floor bears the marks of the axe where the wood was cut to fuel the fires. Leigh House is believed to date from 1574 and was part of a farm estate given by Elizabeth I to Robert Leigh. The property extends over 4.5 acres and includes the Tithe Barn and the Bake House. It was a wealthy estate in its day and the depth of the well in the courtyard indicates that it was a property of significant importance. In the early Eighteenth Century it was owned by Robert Taylor who lived in the main house and manufactured cheeses in the cheese loft, now a bedroom over the kitchen. It was converted in 2006 and has been completely refurbished by the current owners who have retained the original features, selected fine furnishings and original works of art. The Bake House is reached through an old latchet gate beneath arched boughs and opens into a courtyard with topiary trees, lavender beds and a pretty fountain tumbling into a pond of water lilies. Beautifully furnished, this compact cottage style home has been painted throughout with Farrow and Ball paints and has a comfortable 'L' shaped sofa and armchair to seat 5 and large TV with DVD. There is a cosy wood burning stove in the old fireplace with a window seat and curtains in Ian Mankin fabrics. There is a pull out dining table with 5 chairs The downstairs double bedroom has beamed ceilings and its own original fireplace (no longer in use). One window opens onto the courtyard whilst the other overlooks the potager and walled garden. There is an oak wardrobe, an oak framed bedstead and a little hand basin with fluffy white towels. The triple room upstairs has a spacious king sized bed along with a single bed under oak beamed ceilings, two oak bedside tables, chest of drawers and hanging space. A hand basin under the window looks down across the Victorian green house to the vegetable garden.. The little kitchen overlooks the central courtyard and has a gas hob, with electric oven and grill, a microwave and small fridge. A small tiled bathroom has a bath (with shower over), a hand basin and WC. The old dairy has been renovated and boasts a fabulous sauna to seat 8 people, a shower, and a utility area with washer/dryer in one area. There is also some exercise equipment including stepping machine, treadmill and rowing machine. If exercise doesn`t excite you then you can relax on one of the 2 sofas and enjoy listening to music or watching TV. The state of the art gym and sauna is shared with those renting the barn and also the Owners. In this rural setting, The Barn, The Bake House and Leigh House, (the owner's residence) are clustered in a 'u' shape around an idyllic planted courtyard with the original well that supplied the farm. These wonderful old buildings are surrounded by cobbled paths, gardens, orchard, paddocks and fields with southerly views towards Salisbury Plains and The Whitehorse at Westbury . Behind the Bake house is a large secure walled garden with a lavender walkway leading to a rose arbour and plans for a pottager with flowers, fruit, veg and herbs. There are outdoor tables and benches dotted all around the grounds so as to relax and take in the country air. Pick your own apples, pears and plums from the Orchard or head towards a large south facing paddock with lovely views, seating and BBQ area. Bring wellies for lovely local walks into Bradford-on- Avon (just 10 mins. away)or longer walks to South Wraxhall. Local Babysitters are available and come with the recommendation of the owners who use them for their own family. The tiled bathroom has a bath (with shower over), a hand basin and WC. This vintage converted bake house was everything we needed and more. It is comfortably furnished and even has a fireplace. The kitchen was adequately appointed. The setting calms with the lovely gardens on both sides of the home. It is a convenient 15 minutes to Bath, a fascinating Roman town. We would have gladly stayed longer. And to our very pleasant surprise, we were treated with homemade brownies upon our arrival! Very good for my 94 year old mother, who has reasonable mobility. An annual holiday with my mother, revisiting where we used to live, and taking in the gardens and history in the area. Perfect place for first trip to England. Property was lovely, town beautiful and friendly. Hosts couldn't have been more accomodating and informative. For a uniquely British experience, stay here! So pleased you enjoyed your time. Hope to see you again soon. Thanks so much for the wonderful stay in the Leigh Bake House. Our family of two adults and three children had a great time. The house was spacious, the kids love the game room, and the location was just a few minutes walk from a great and family friendly pub. Best of all, Sue and her family were so welcoming - it really felt like we were staying with relatives! She gave us the best recommendations for locations to visit, to include Lacock Abbey and gave us a great tip about taking the train to Bath. I can't say enough great things about this property! 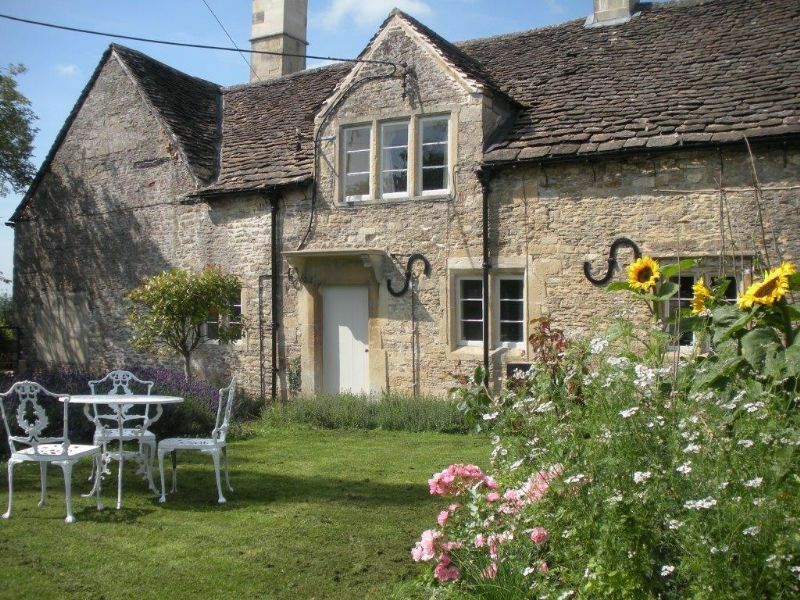 Leigh House along with The Barn and Bake House are 1 mile from Bradford-on-Avon and 7 miles south-east of Bath. The nearest railway station is Bradford-on-Avon with links to Bath, Bristol, Cardiff, the South west, London Paddington or London Waterloo. Taxis are available from here, call Bradford-on-Avon Taxis Tel 01225872277. The nearest convenience store and petrol station is Texaco towards Bradford-on-Avon. There are 3 pubs within a short walking distance. The Castle is a gastro pub, The Bunch of Grapes is renowned for Sunday roasts and award winning pies and The Dandylion which is a good for a pint and pub fare. In Bradford-on-Avon, The Caf&eacute; Amichi is very convivial Italian restaurant, The Bridge tea rooms are famous for its 3-tiered afternoon teas. Try the Thai Barn for delicious food with great service, or Avon Spice for Indian Cuisine that can be delivered. The nearest convenient store with good fresh produce is Co-op, 2 mins by car towards Winsley. There is a large Sainsbury's Supermarket in Bradford-on-Avon. Bradford-on-Avon is a pretty market town built from warm bath stone, on the River Avon. The history of the town can be traced back to Roman origins and it has several buildings dating to the 17th century, when the town grew due to the thriving English woollen textile industry. The town Library has a little museum charting its interesting history. Longboats and canoes are for hire to explore the river or bikes can be hired to explore The Kennet and Avon Canal which flows to Bath or Bristol. Call the Tourist Information Centre in Bradford-on-Avon Tel. 01225 865797. The train station is a 15 minute walk from the properties. Only 7 miles away, Bath is a beautiful world heritage city with many historic places to visit, as well as fascinating museums, galleries, wonderful shops and a great selection of restaurants. Open-top city bus tours are a great introduction to all the sites. You could book a show at The Theatre Royal, Komedia comedy club, or a relaxing soak in hot mineral waters of the Thermae Spa. There are frequent trains from Bradford-on-Avon. (approx. every 15 mins. until 11.30pm) There are hot air balloon flights available in Bath, as well as bicycle and boat hire. Call the Bath Tourist Information Centre Tel. 0906 711 2000. There is a great history of shipping to explore at Bristol, with fascinating docks, ferry rides, art centres, Theatres and plenty of shopping. There are fast comfortable trains from Bradford-on Avon taking 15 mins. There are many beautiful National Trust gardens to visit nearby, including Lacock Abbey and The Courts in Holt. Bowood House has extensive grounds including a large adventure playground for children. There are ancient stone monuments in Avebury and giant chalk horses carved into hillsides around Wiltshire along with mysterious crop circles. Further a field is the extraordinary Stonehenge, beautiful Stourhead Gardens and Magnificent Longleat House and Safari Park.